Want to connect with Narpinder? 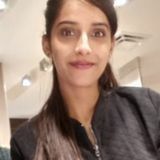 Hey there ,, m Narpinder i am seeking job of baby sitter or nanny in Brampton. As i am RN from india so i have studied about pediatric care demands . Even more i love kids and it would be the job of my choice as well. Currently i m studying Early Childhood Education in Northern college of pures . I can be available for overnight shifts whole week and for weekend days n nights. Seeking ur response to my portfolio... For action u can reach me by email and contact number. Thankxx with regards.